Last week on Twitter I was alerted about the existence of a little game called Ossuary. This is one of those situations where I hundred-percented the game, but it’s a odd enough experience that I’m posting long impressions rather than a full review. I definitely recommend it; it’s certainly not for everyone; but then again what is, especially in games? 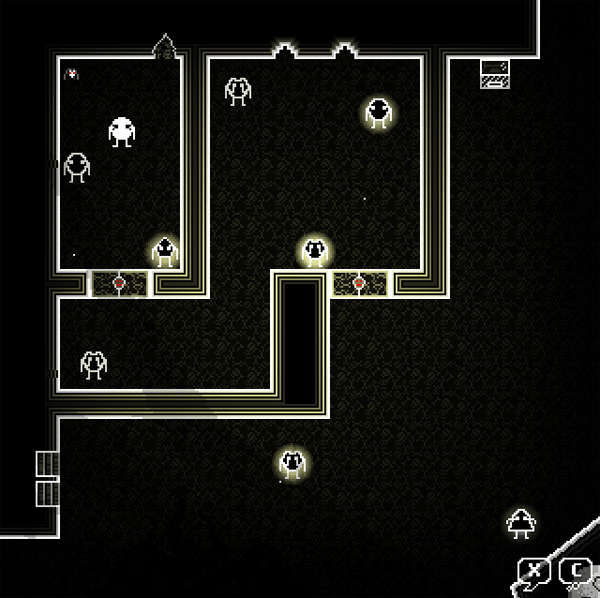 Ossuary is an adventure-style game with a top-down perspective. The game takes perhaps two or three hours to complete. The art is in black and white, with some shades of red and an important splash of orange. Your character in Ossuary has an inventory made up of the Seven Deadly Sins. The primary way to solve puzzles in the game is by presenting the sins as objects to people, which may show them a different viewpoint on a current situation. A guard may be diligent, but, introduce him to Sloth and he may just decide to slack a little on the job and let you pass on by. That part of the premise is not super-interesting, as I’ve seen lots of attempts to use the Seven Sins as game levels or objects before. But the way it is actually implemented is interesting indeed. First of all, every one of the sins has a unique response for every NPC in the game. Since the game is not short on NPCs, this is a staggering amount of writing: and it’s clever! Every character has some unique viewpoint worth checking out, and reading their responses to your prompts is entertaining. Secondly, the game is based thematically on the Principia Discordia, and interprets both the Sins and Virtues in that light. Where a modern anti-religion like Pastafarianism is a critique of belief itself, Discordianism is more of a critique of dogma. Ossuary in its Discordian tradition presents the Sins as sometimes positive. Sure, Envy may be a little uncomfortable, but doesn’t it also rely on empathy, a way to see the world through someone else’s eyes? Temperance is a Virtue, but isn’t it just one other side of a Sin? I’m not wild about the sound design in Ossuary, which makes use of free stock sound effects that get repetitive, but that’s sometimes what a small spare-time developer has to work with. The star player here is really all the words. The game tells you early on that there’s no real way to lose it, so exploring every option will work out in your favor. 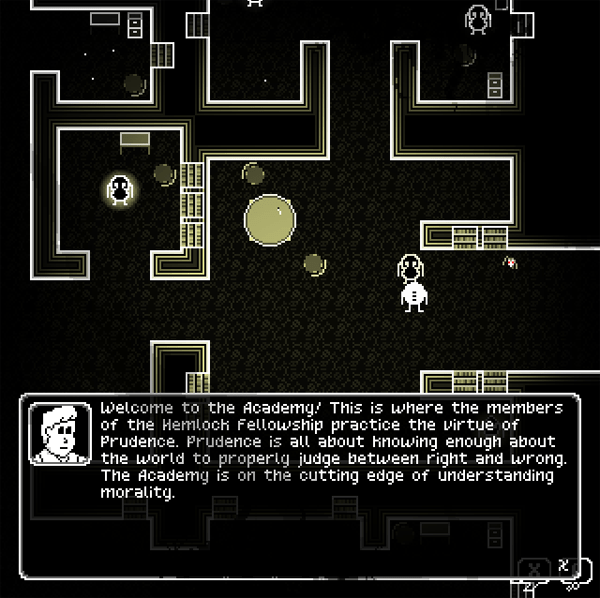 The game is a sequel to the game Narthex, and an “HD” version of Narthex is included – a bit ironically, since Narthex is still a pixel art game. Knowing it’s a sequel will make the beginning of Ossuary a bit more clear, but you probably won’t be too confused for more than a couple of minutes. Ossuary is more of a story about ideas than people, and the main character is just a pointer used to read the words said by other characters. Through these characters Ossuary critiques things like religion, academia, censorship, and two-party political systems in an environment that is both miserably bleak and completely absurd. You probably won’t need to have read Discordia to understand it, but it definitely would supplement the experience. Or perhaps it would serve as a useful introduction to those uninitiated in the ways of Eris. Yeah… I definitely need to check out the other stuff on his list. But this really jumped out at me. I too have played this game, and as both a student of politics and philosophy once this was really fascinating. 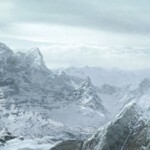 The one thing I wished (emphasis on that) is that you could see a more detailed idea of the consequences of each “ending”, but I did not expect such ambition from the game, and imagination probably works best anyway. It’s a problem happily shared with Ice-Pick Lodge’s The Void and all that potential it implies. This can’t possibly be a sequel to Narthex in the sense that you’re expected to play Narthex can it? I love Narthex but part of the reason I love it is the conviction that most people, on reaching the winning ending, will scream with annoyance.